48 states in the continental US could receive 70% of their power from clean, renewable energy by 2030, says a director from the U.S. National Oceanic and Atmospheric Administration (NOAA). The announcement was made by Sandy MacDonald, director of the earth system research lab at the NOAA at a conference in Vancouver. Although supporters of coal and natural gas-fired generation may downplay the announcement, MacDonald has years of scientific research to back up her claims. 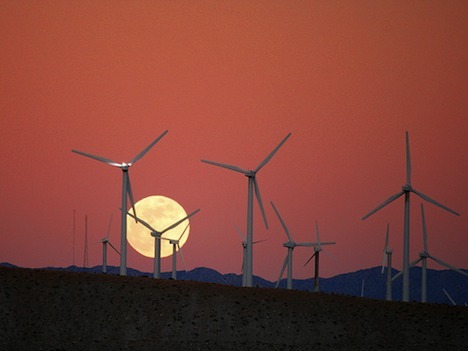 Three years ago, the NOAA undertook a research project to project the efficacy of wind and solar power in the continental US. They analyzed 16 billion pieces of weather data from weather stations, satellite data, and airplane observations to determine how much renewable energy the US could reliably produce. After 3 years of analysis and data filtering (removing places inappropriate for renewable energy such as national parks or urban areas), they were able to draw a map of exploitable renewable resources. Their findings revealed that the best wind resources are in the middle of the continent, while the Northeast Atlantic had “decent” resources. The best places for solar production were in the desert southwest. Upon first glance, the NOAA renewable energy results revealed fairly common-sense findings about the best places for renewable energy. However, the team further expanded their findings to account for the necessary balance between peak energy demand and potential power production. They concluded that a well-coordinated renewable energy strategy could allow the continental US to acquire 70% of cheap, renewable energy. The optimal grid size would encompass five million square kilometres and include a diversified renewable energy strategy of large-wind and solar power projects. And although critics may claim that renewable energy is too expensive to deploy on a large-scale, analysts suggest that renewable energy prices will continue to drop. Already, the price for wind and solar energy has dropped substantially over the past five years. If its price continues to decrease it could be cost competitive with coal by 2015. Do you think it’s possible for the Continental US to receive 70% of its power from renewable source in 2030? Previous post: How Much Environmental Damage Is Our Toilet Paper Doing, Anyway?